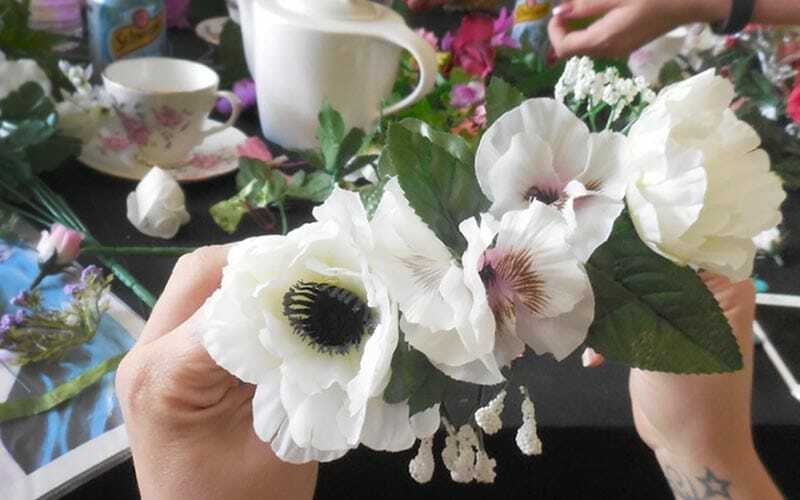 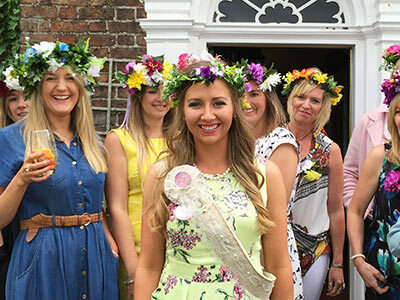 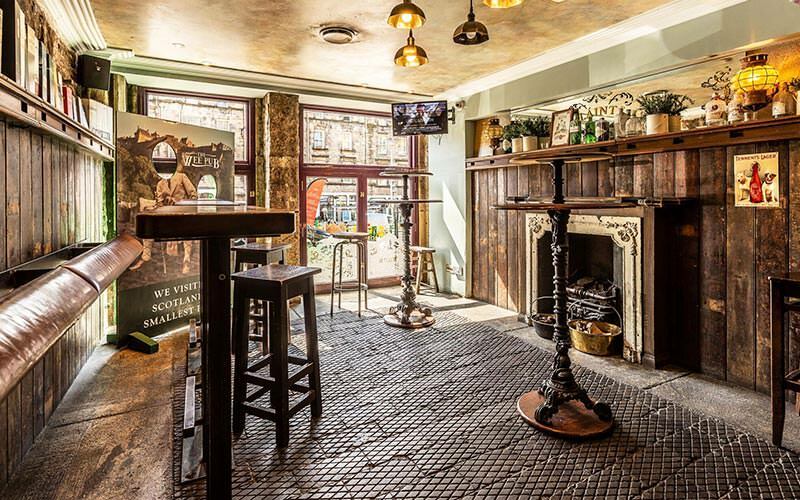 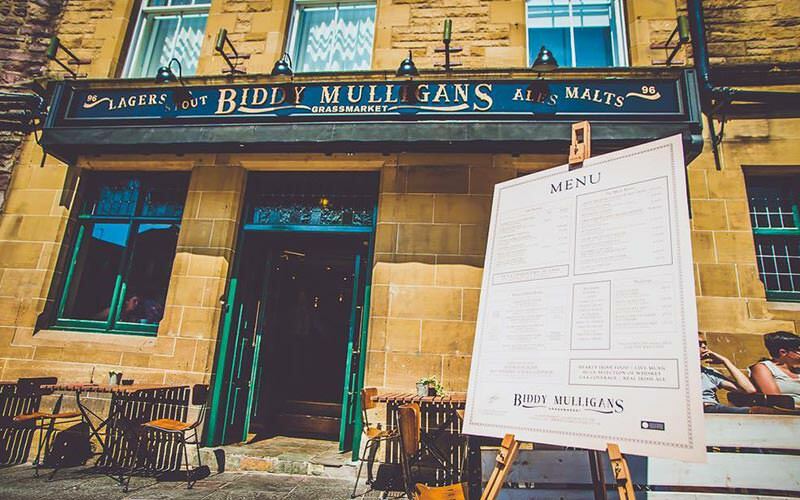 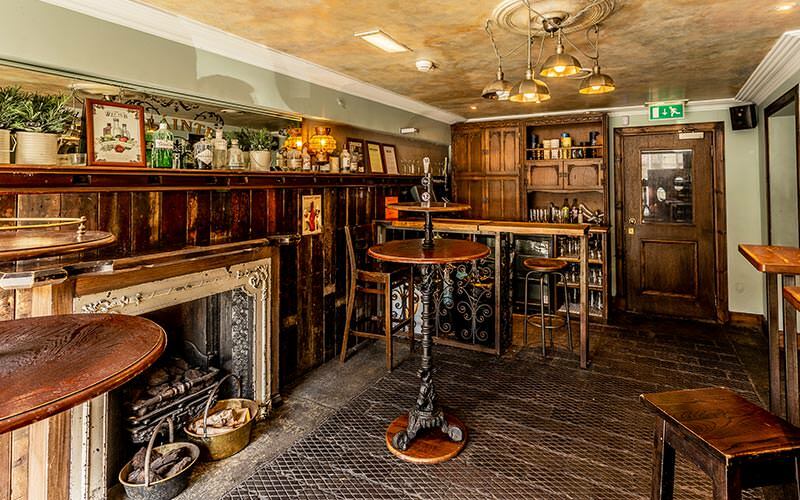 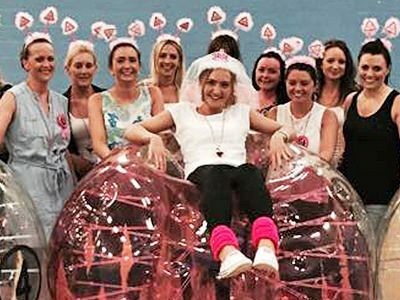 The olde-worlde Edinburgh is a hen party haven, with almost 200 fantastic hen party activities to choose from and bags of cheeky Scottish charm to boot. 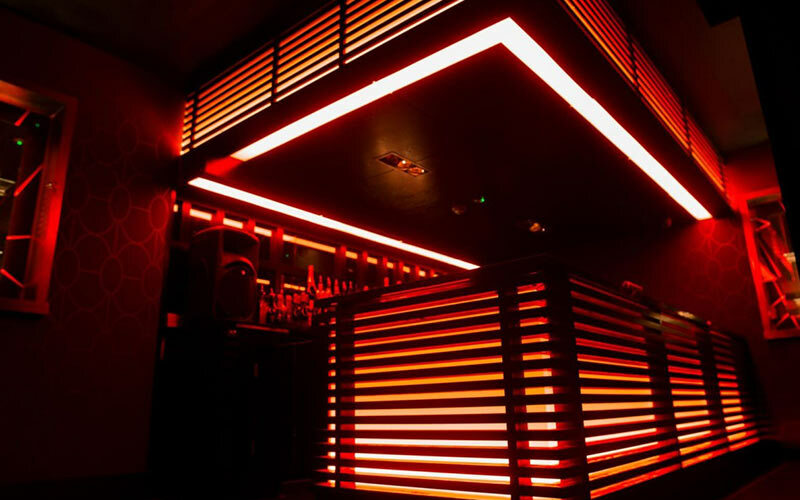 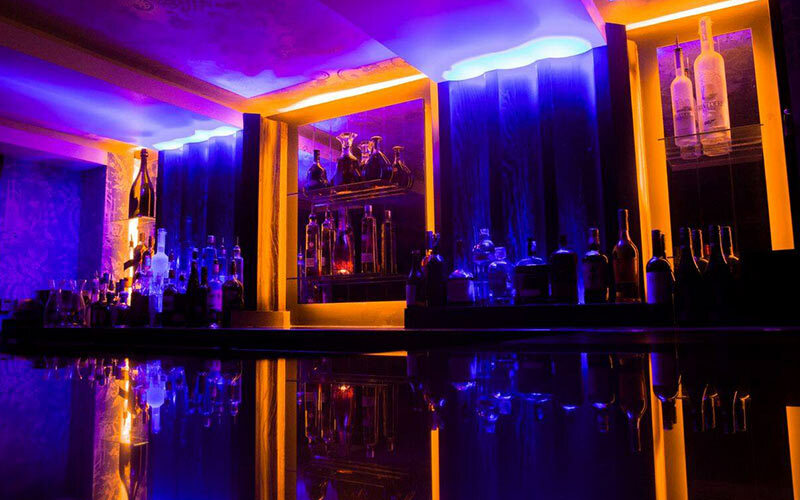 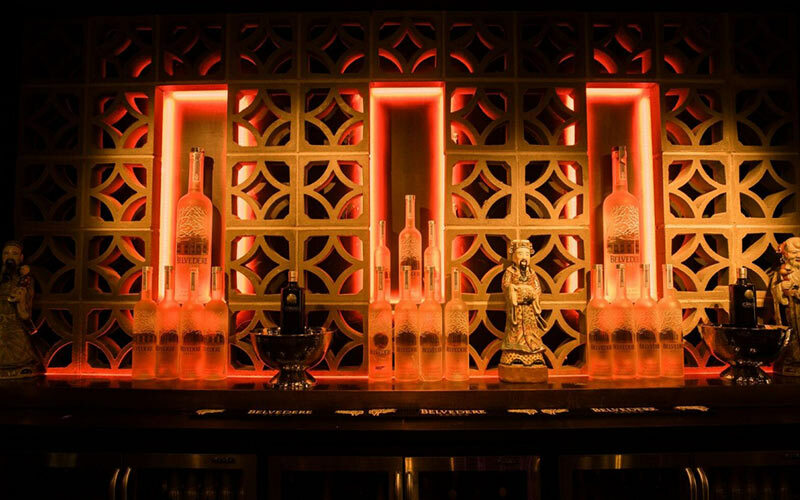 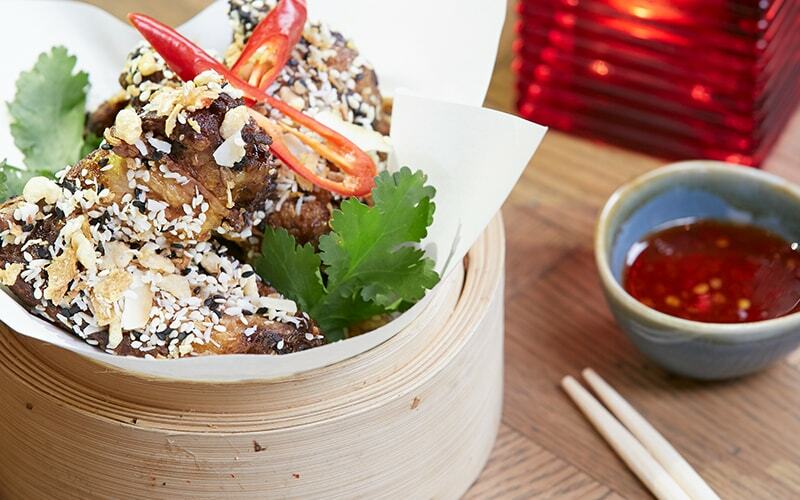 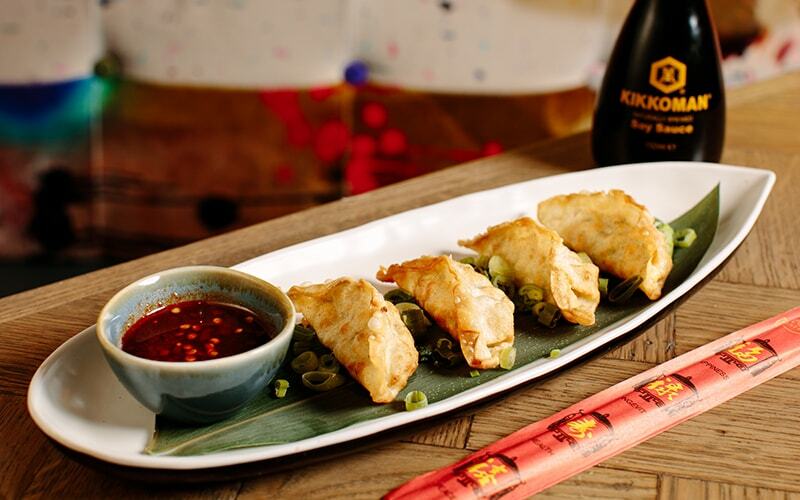 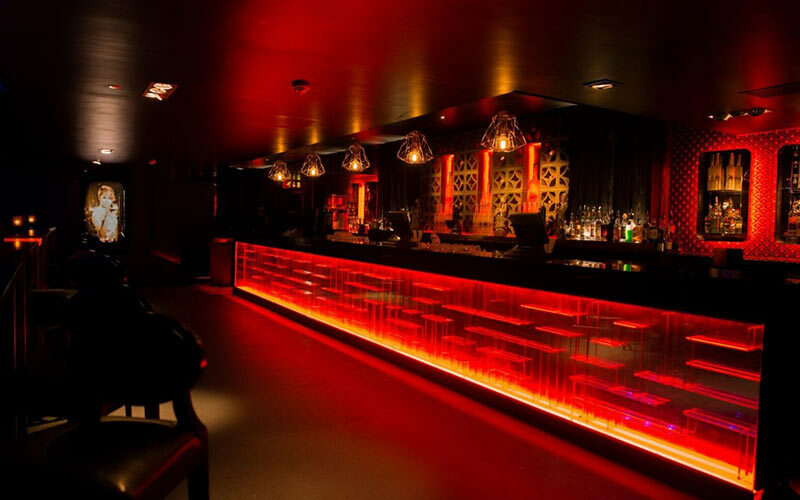 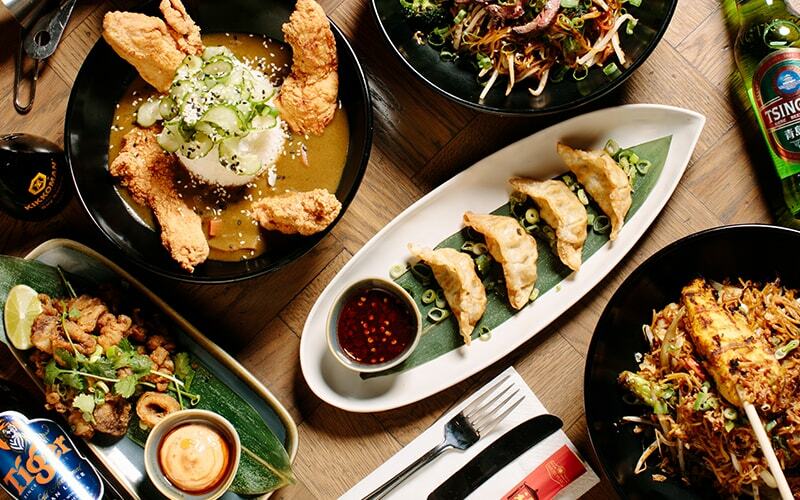 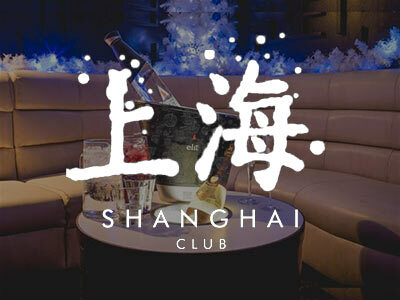 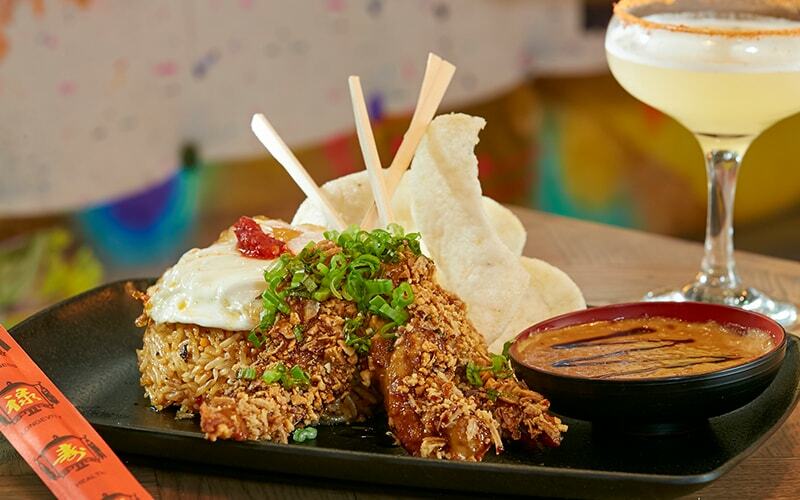 East meets North at this super stylish oriental-inspired nightlife hot spot. 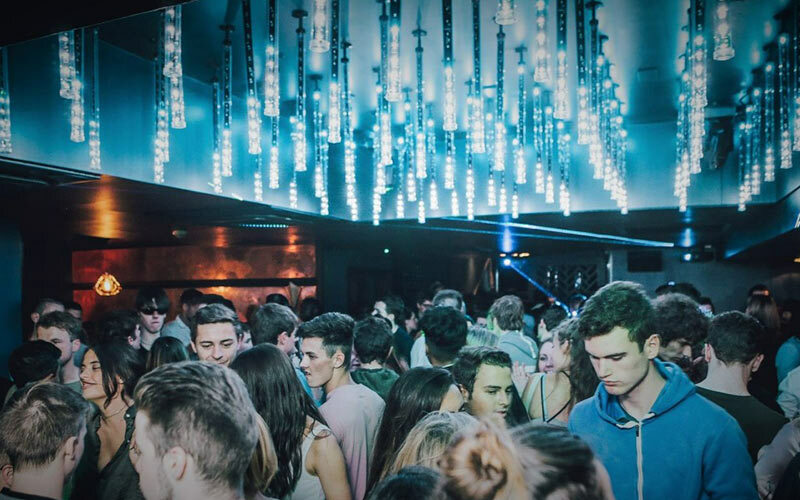 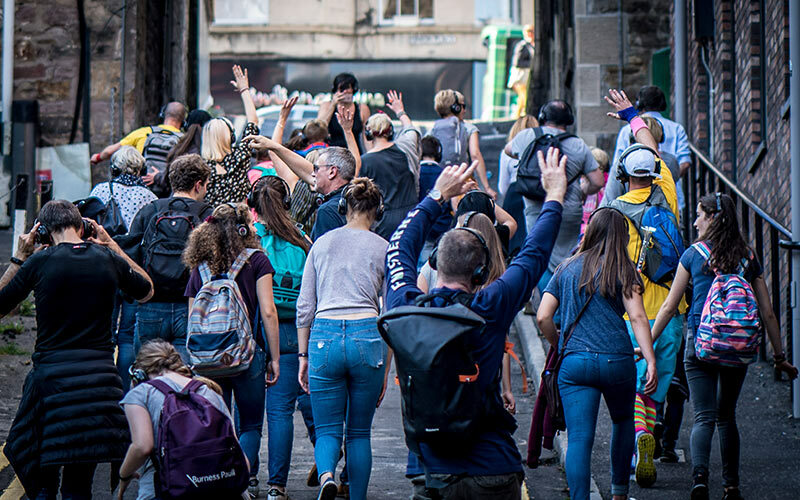 Dance like a loon to your own personal tune as you bounce through the streets of Edinburgh. 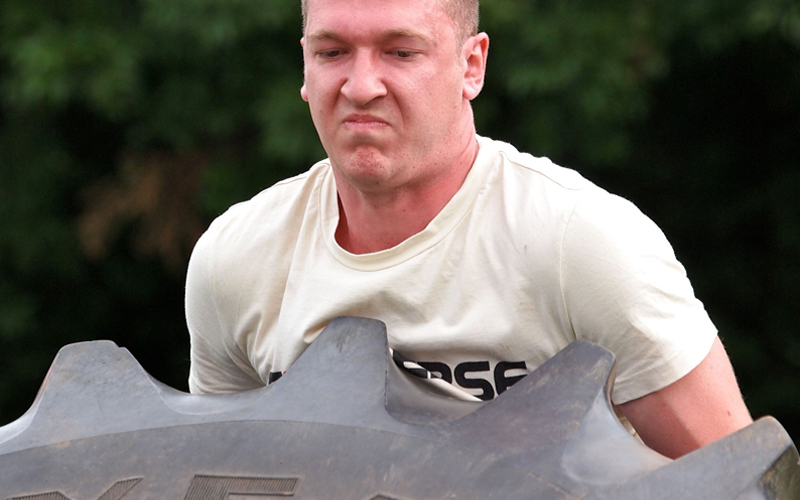 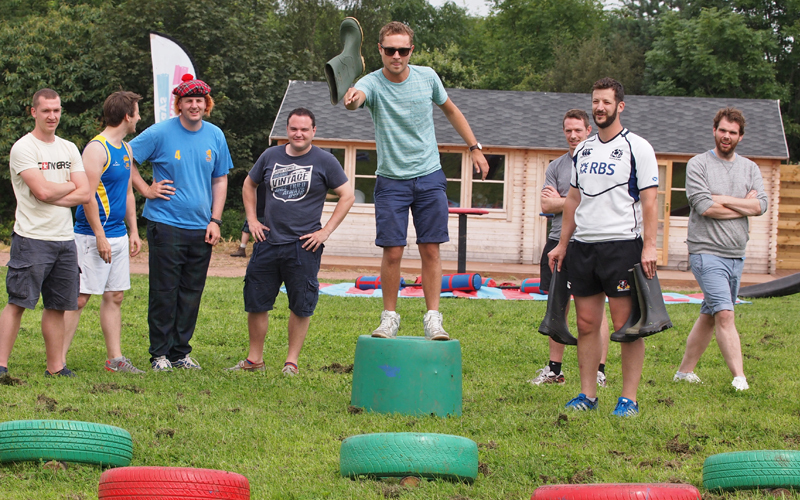 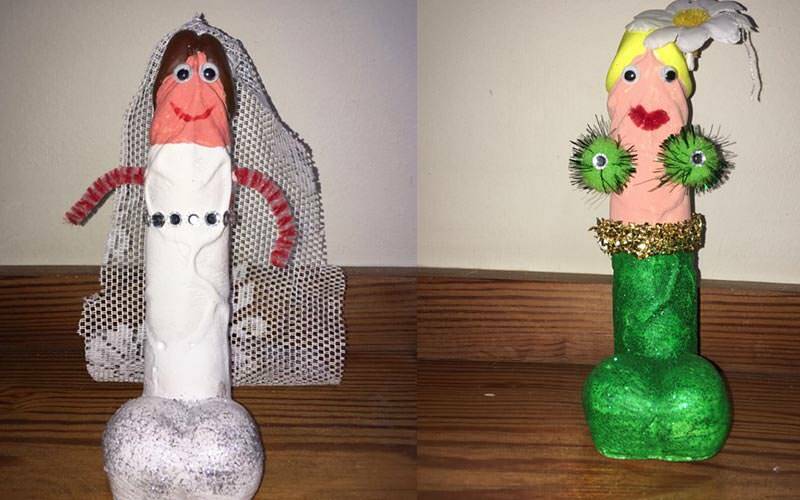 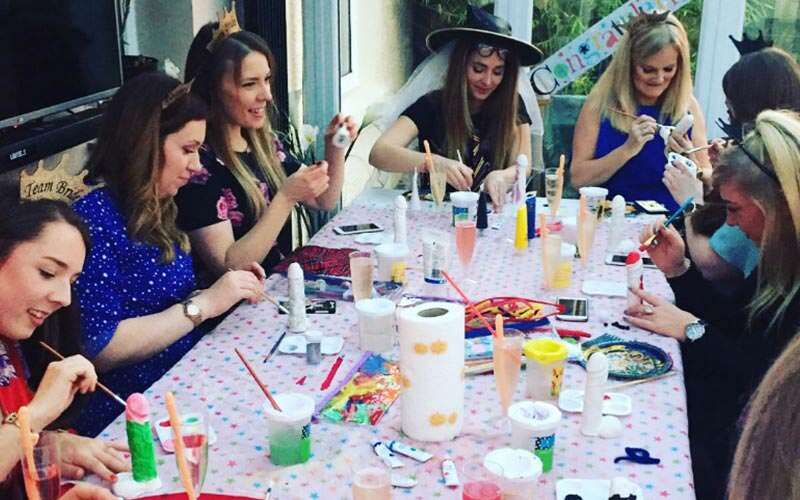 We’re sure you’ll agree, a hen do without oiled up, semi-naked men, would be no hen do at all. 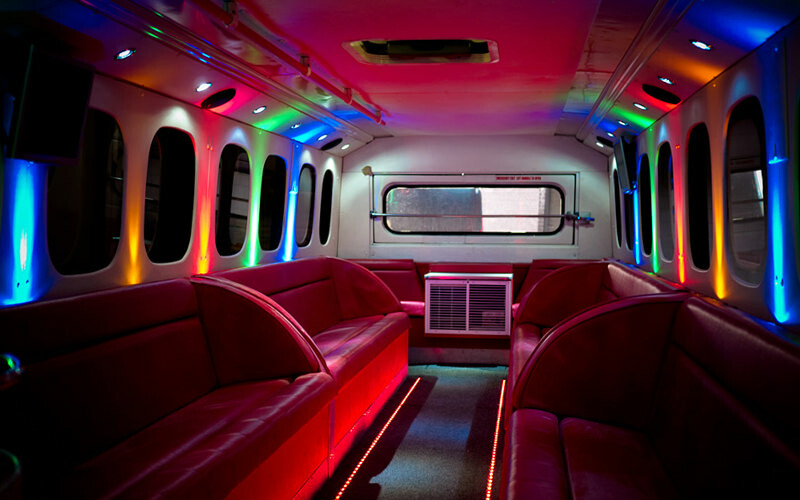 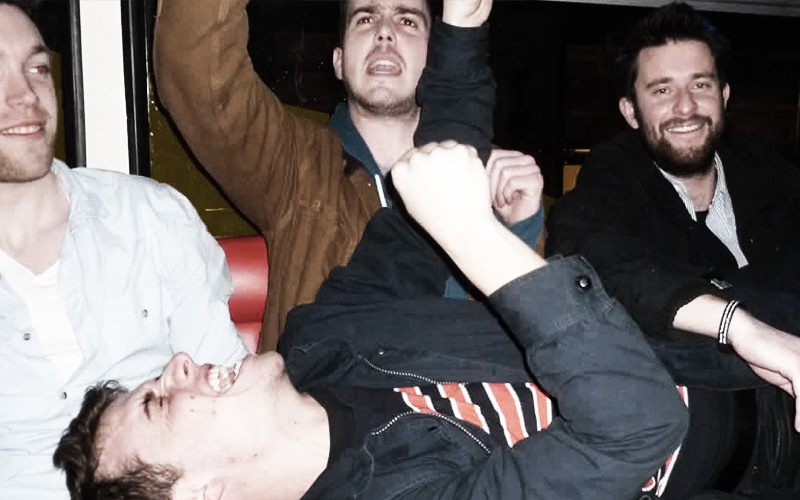 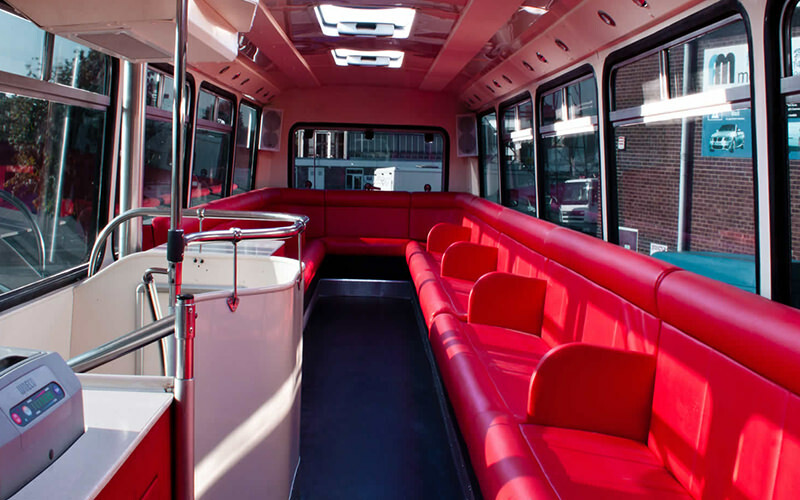 This party bus in Edinburgh is the swish, swanky and sophisticated. 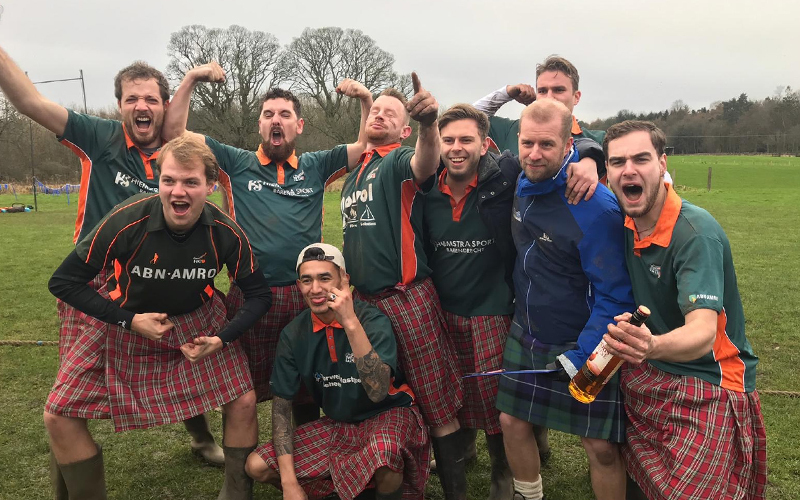 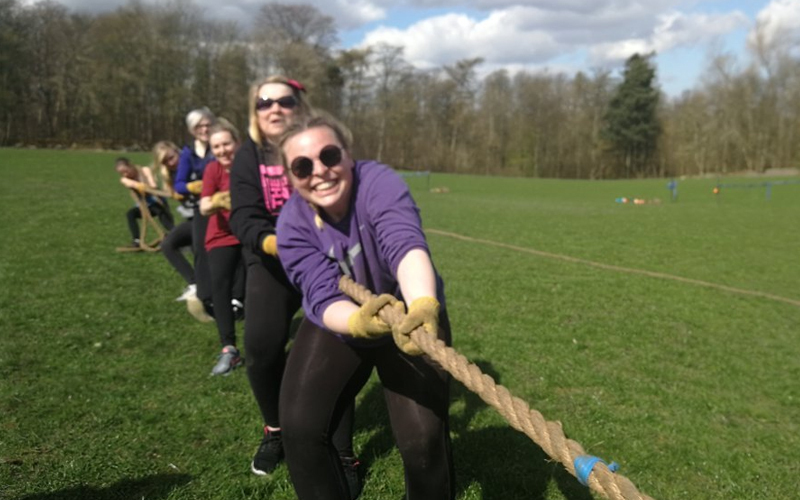 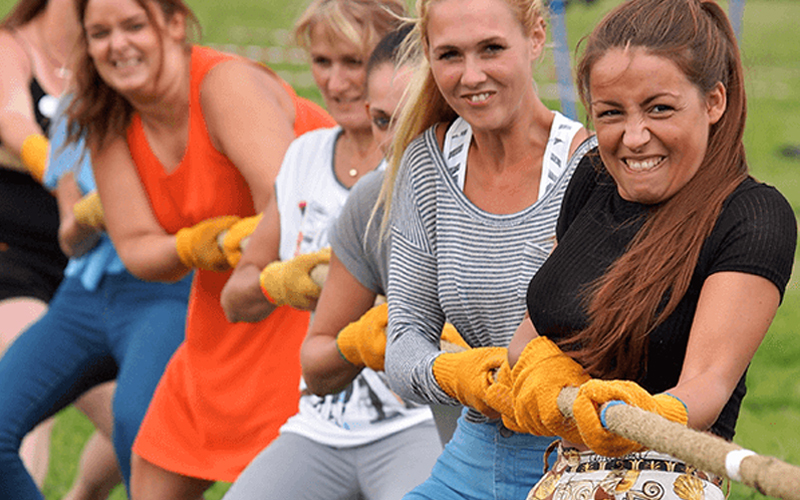 Edinburgh is the universal pleaser when it comes to hen weekends, and once you’ve had a quick squint through the activities, you’ll see exactly why. 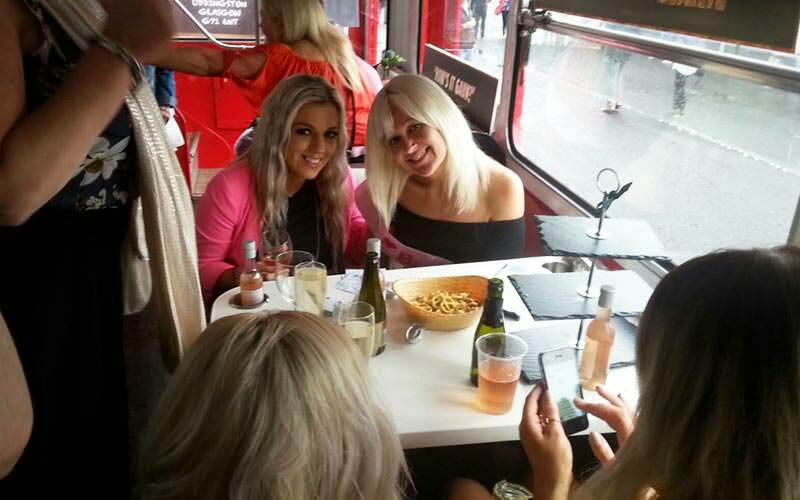 Edinburgh activities are the perfect balance of tasteful and quaint, but still have a cheeky glint in their eye, which is exactly what you need to keep all of the girls happy in the group. 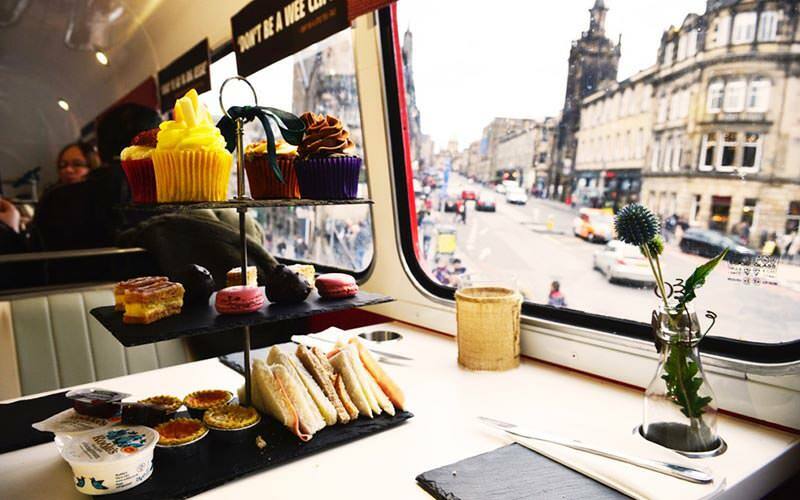 Your Mother-in-Law will be thrilled when she hears Auld Reekie is on the cards, and even more delighted when she realises it’s less willy straws and L-plates, and more Champagne tasting sessions, afternoon teas and glamorous spa day passes. 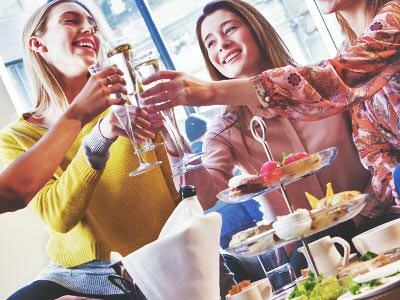 Then, when it comes to your younger sisters, they’ll be over the moon when they realise they’ll be hitting Edinburgh’s New Town and Old Town nightlife strips, and maybe even bagging themselves a hunky kilted man. 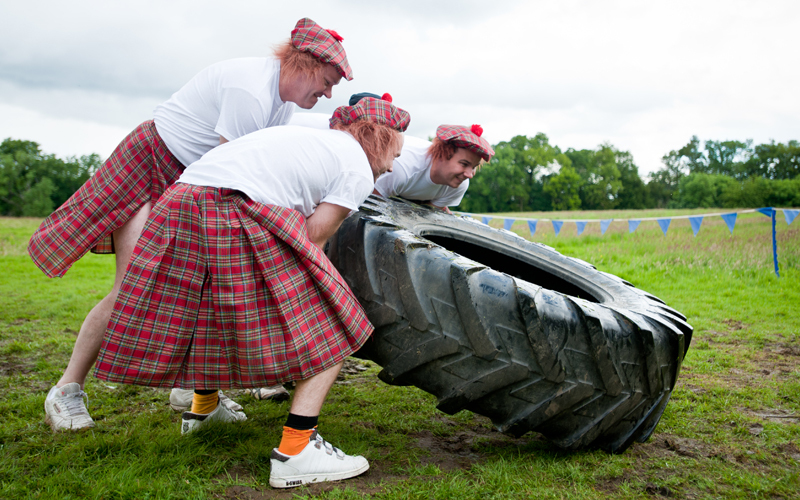 Och aye indeed. 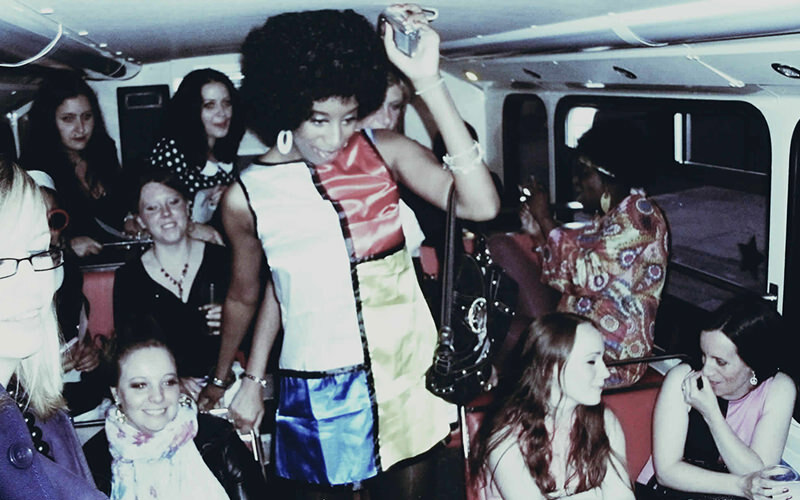 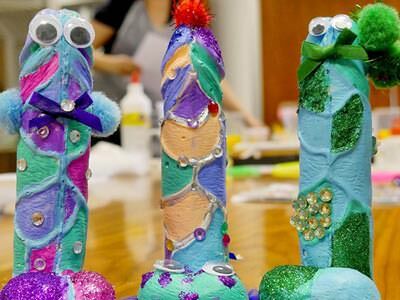 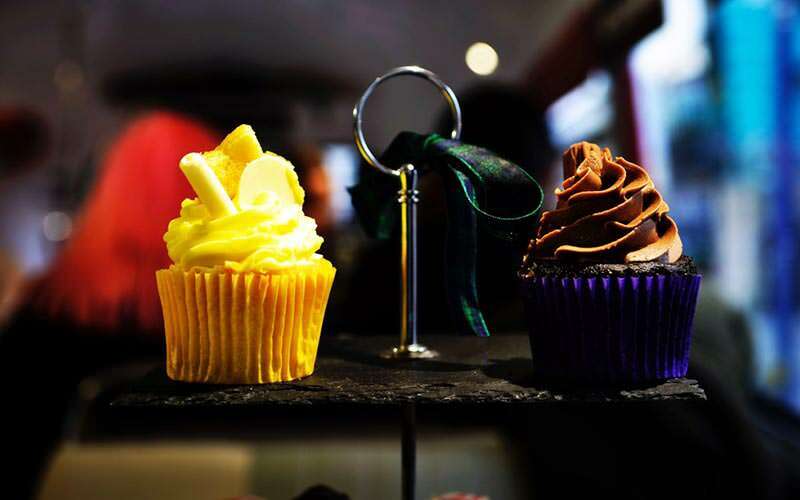 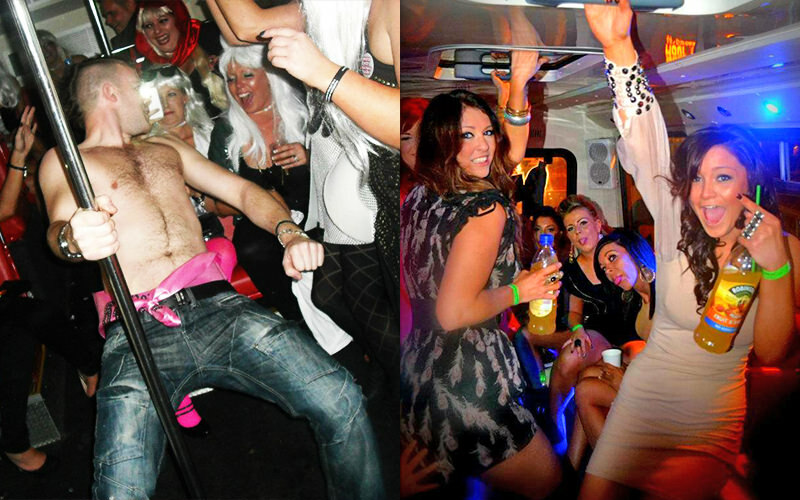 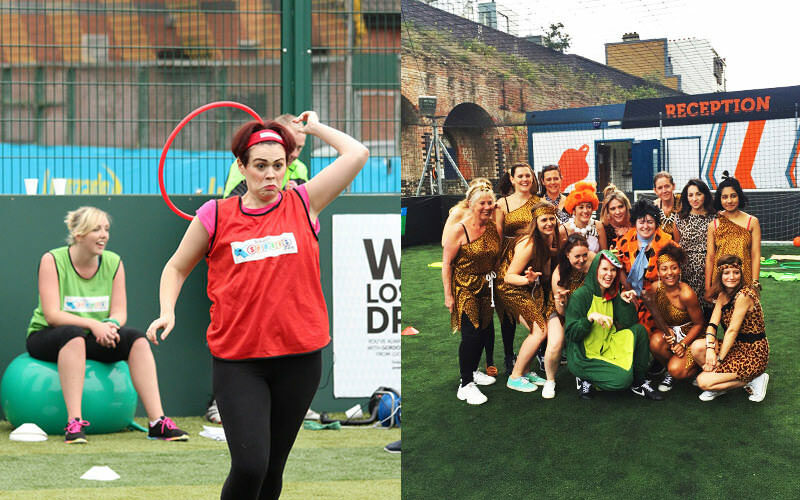 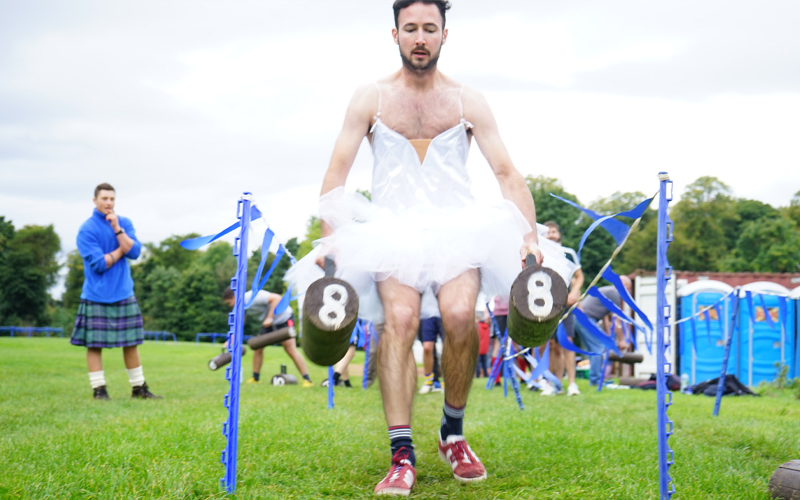 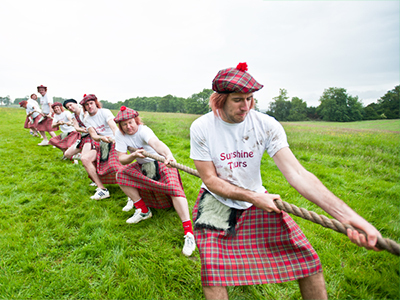 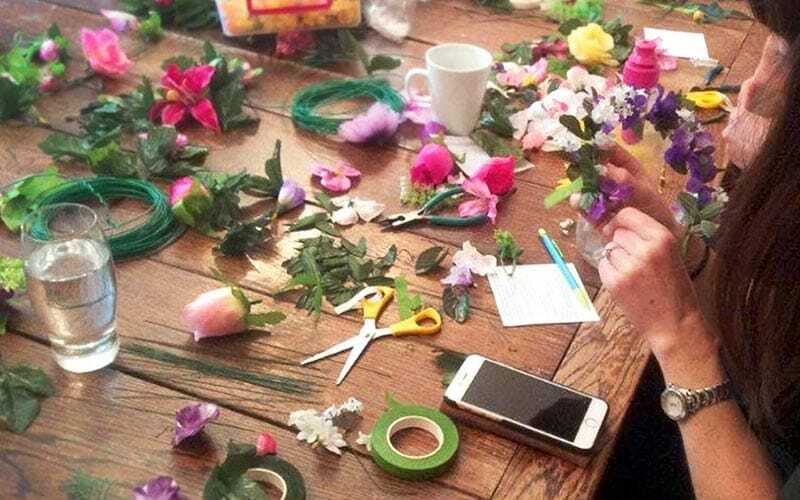 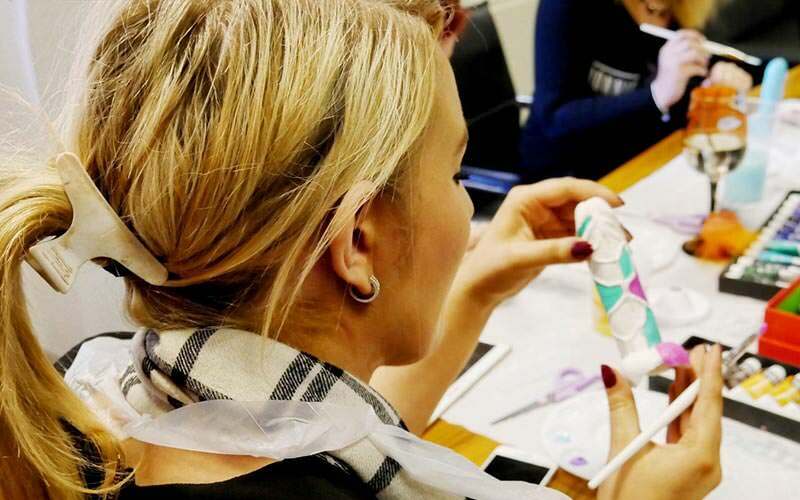 What Are The Most Popular Hen Party Activities in Edinburgh? 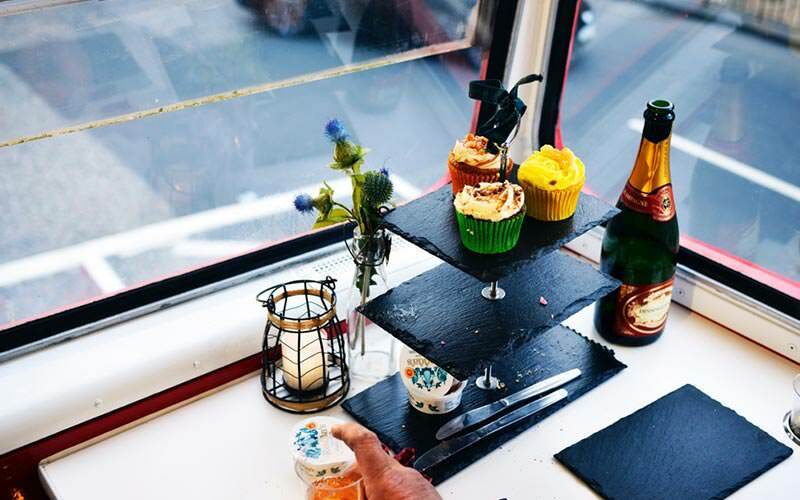 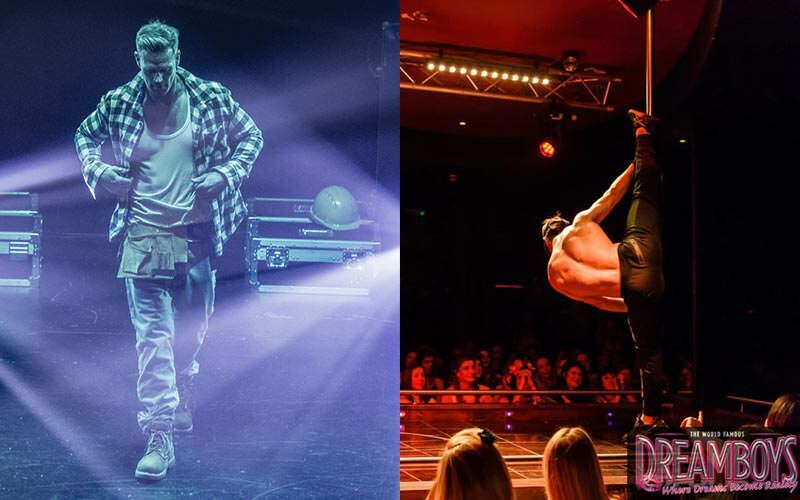 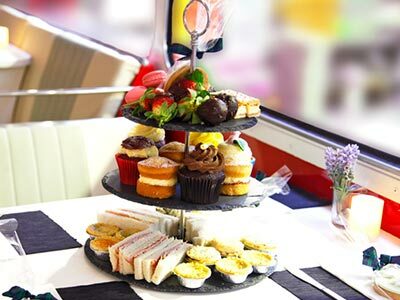 Up there with our most popular hen party activities in the whole of Edinburgh is afternoon tea at the seriously swanky Le Monde Hotel on George Street, as well as the Dreamboys striptease show, for obvious reasons. 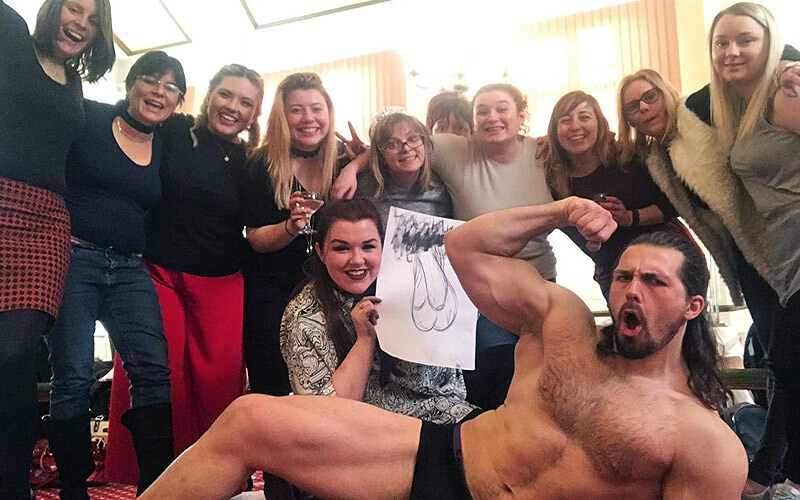 However, for groups that are looking for a little bit more of a personal and intimate touch, our Edinburgh butlers in the buff have caused more stirs on hen weekends than you’ve had hot dinners. 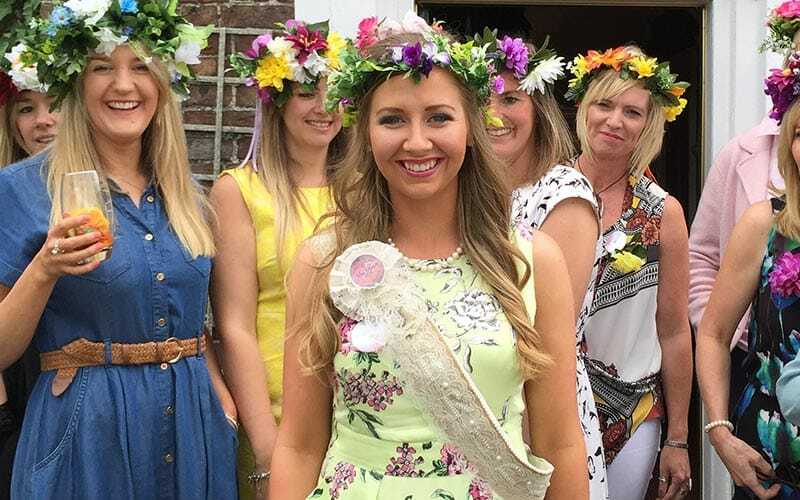 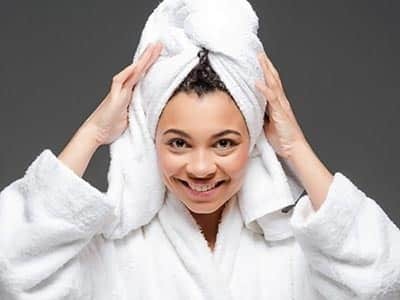 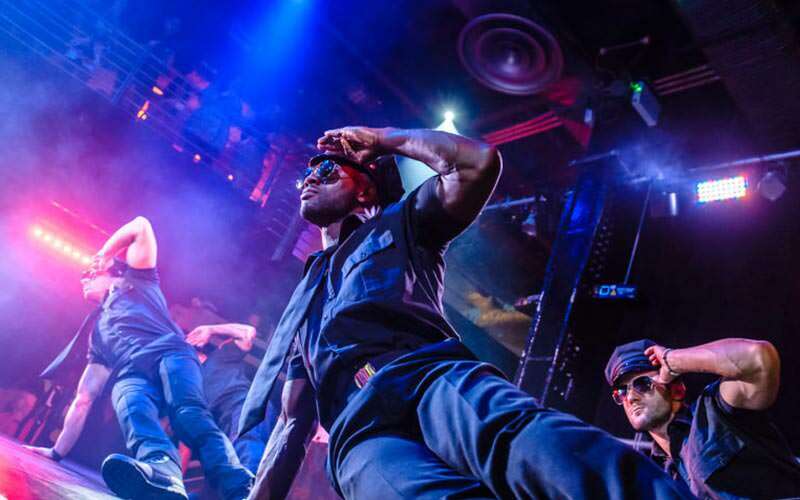 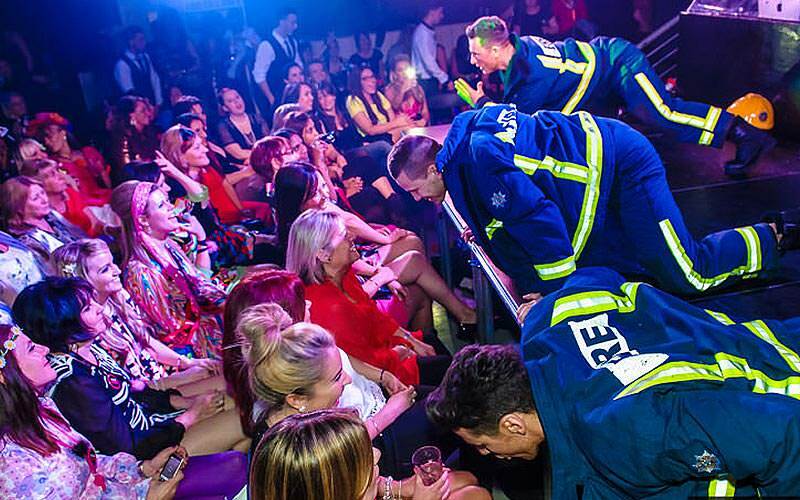 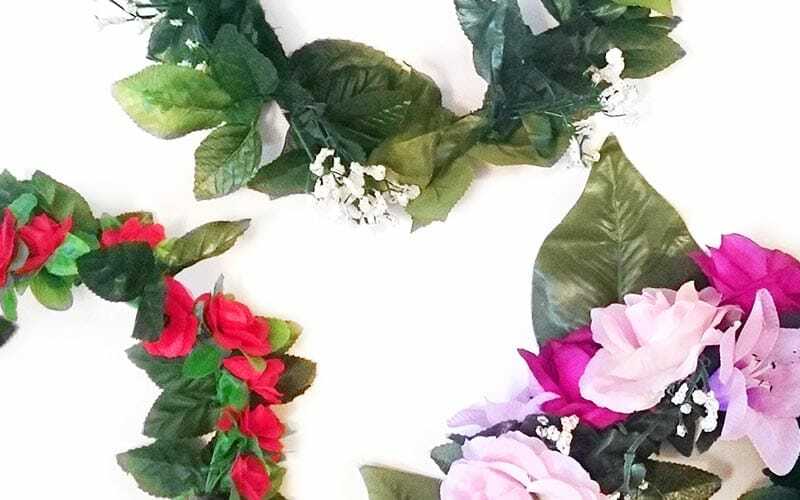 The ripped and drop dead gorgeous butlers can come to any venue of your choice and make the hen’s night a one to remember for a very long time – even if she doesn’t tell her Hubby-to-Be. 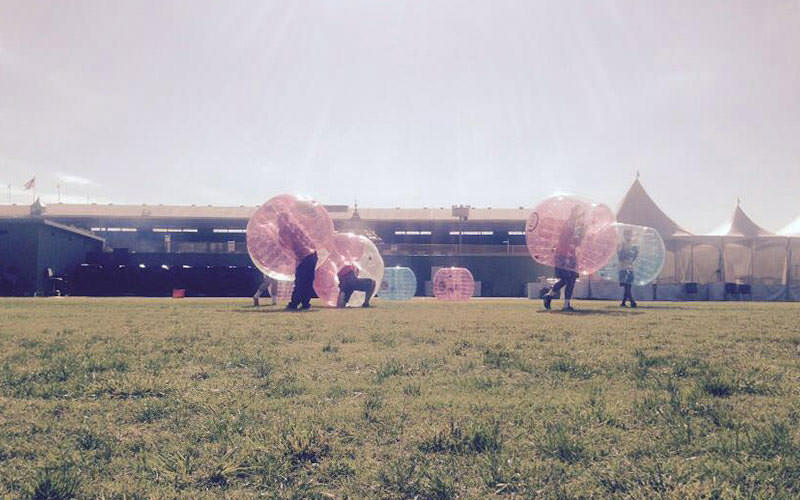 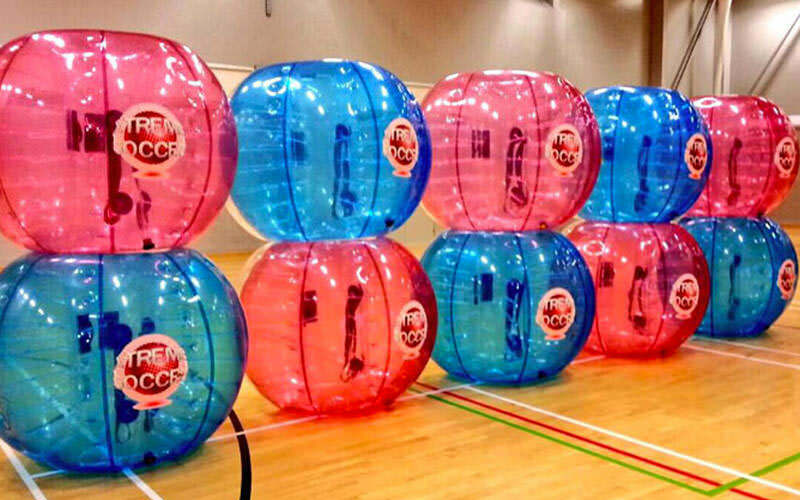 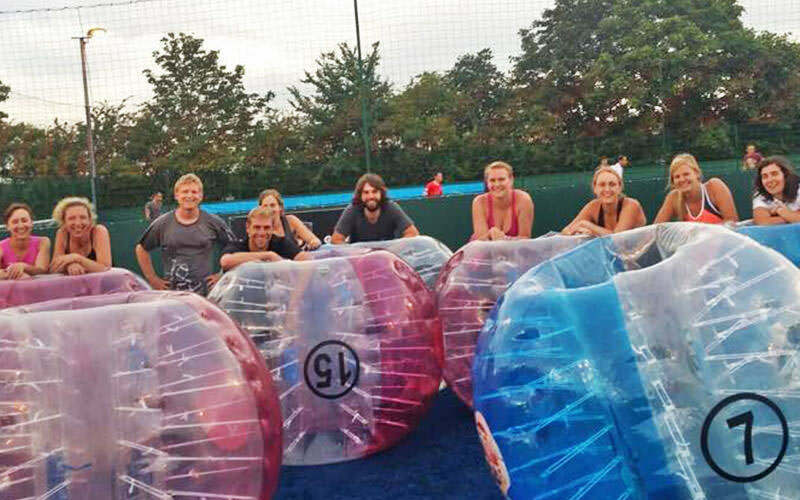 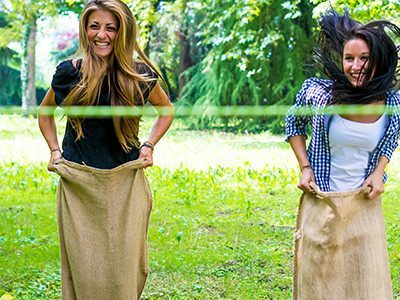 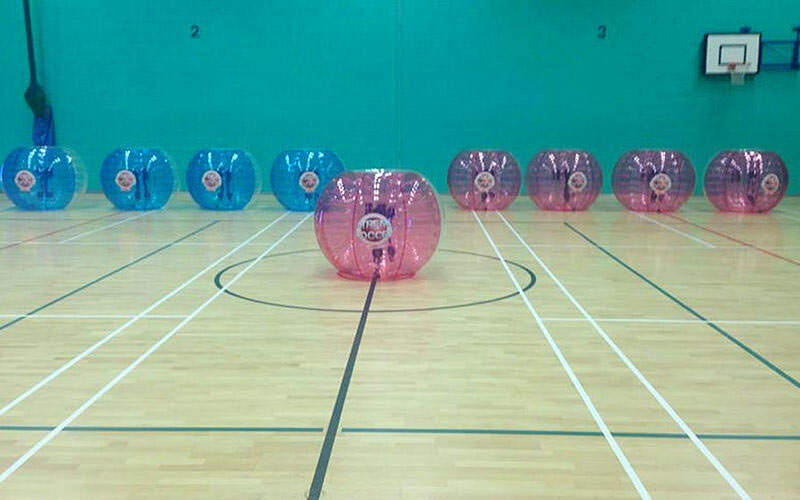 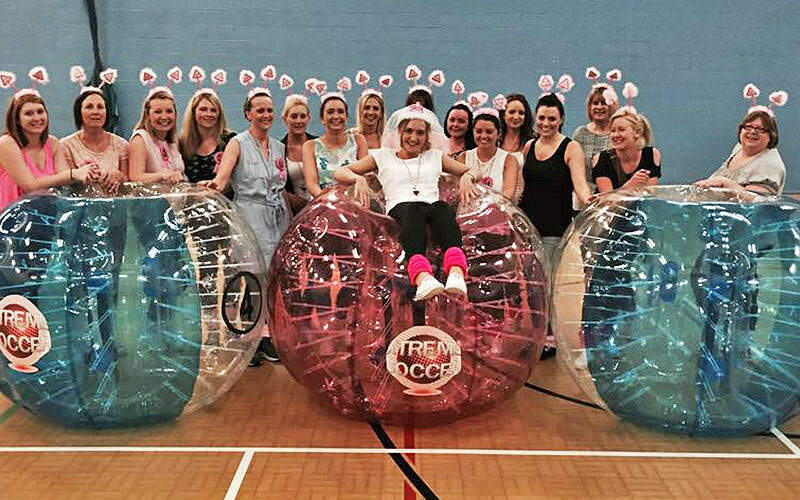 Bubble Mayhen is an Edinburgh hen do classic, where everyone is strapped into an inflated zorb and can run full-pelt into each other, sending them flying into the ether (or at least send them rolling a few metres away, causing everyone in the group to burst into hysterics). 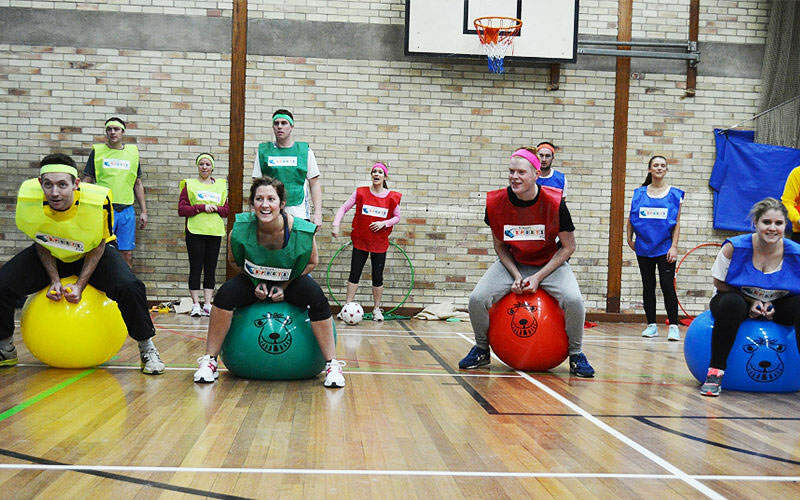 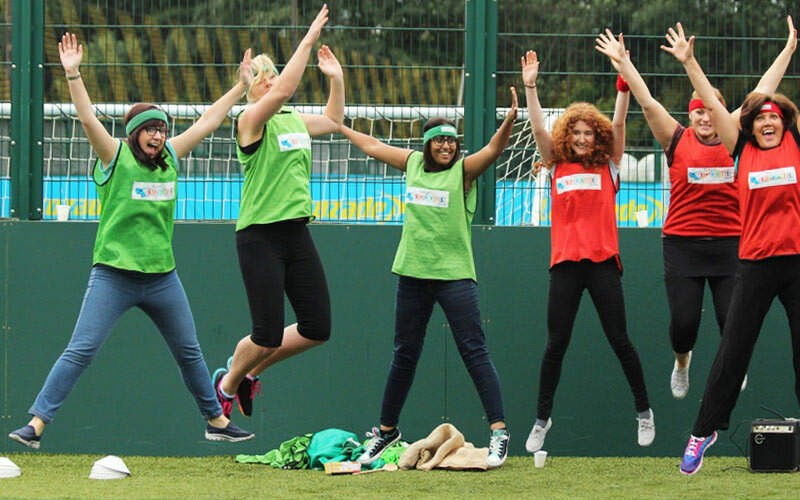 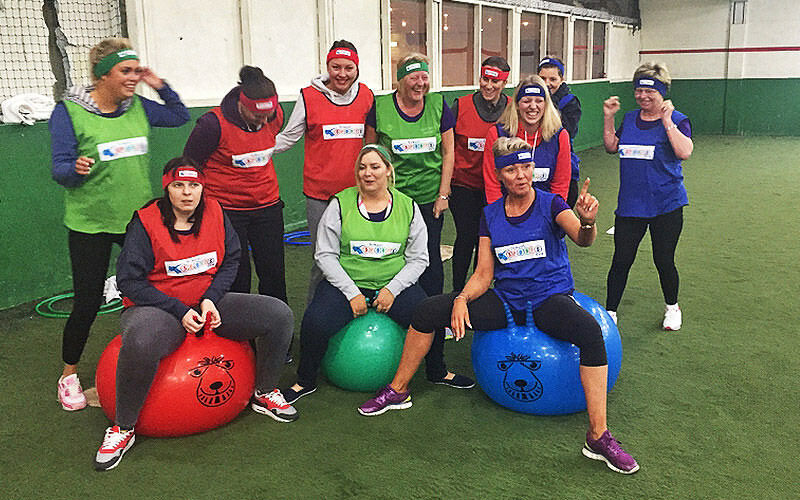 Glow sports is also a popular hen party activity; hosted in an indoor, blacked out venue, team members’ glow-in-the-dark bibs and accessories shine up against the pitch black backdrop and create a unique set up for a sporting arena. 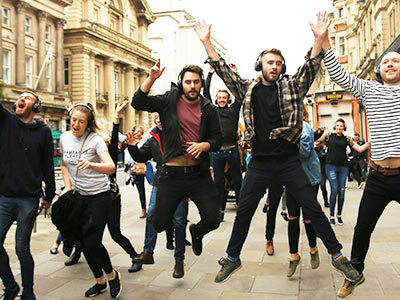 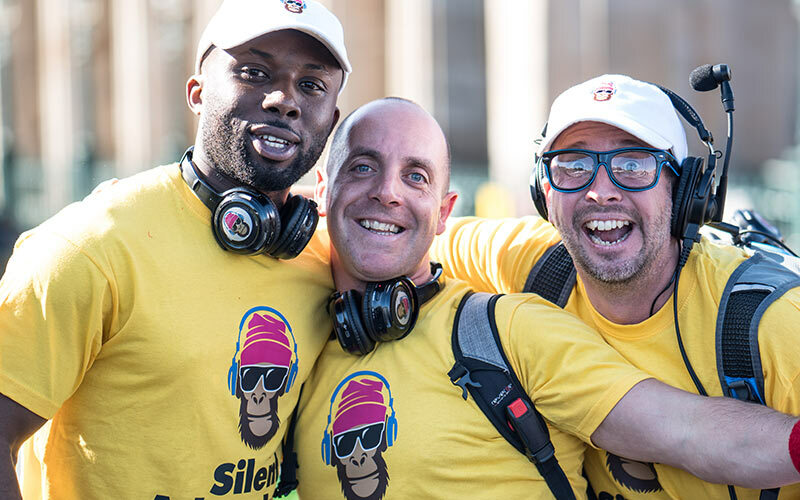 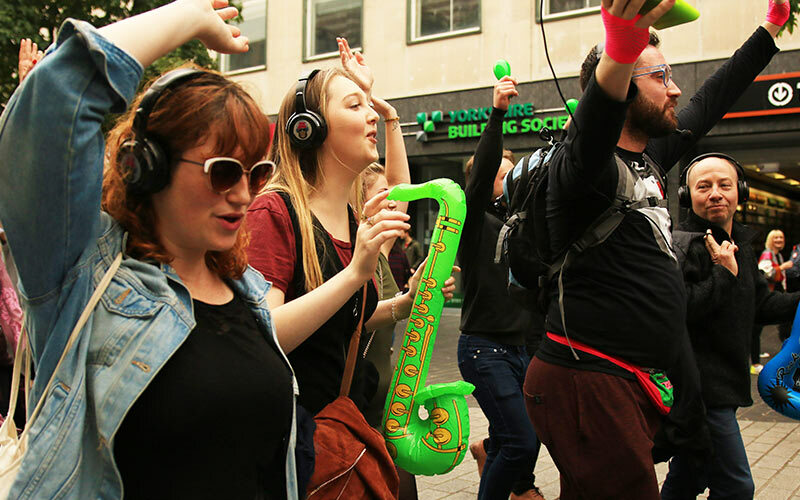 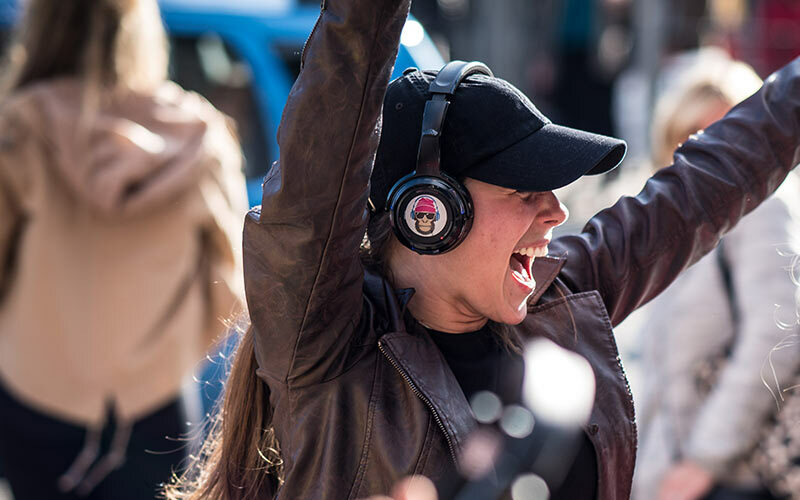 The Silent Disco Adventure is also something new and exciting on the Edinburgh scene, where hen groups will become part of their very own flashmob, dancing their way through the city, in complete silence. 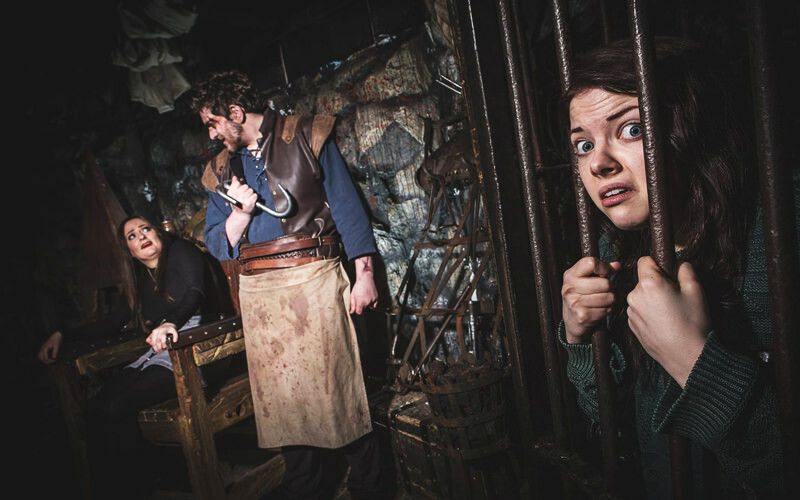 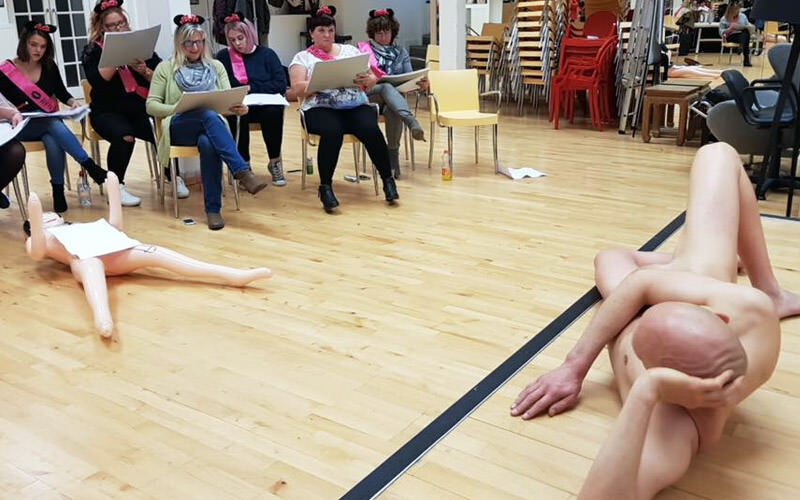 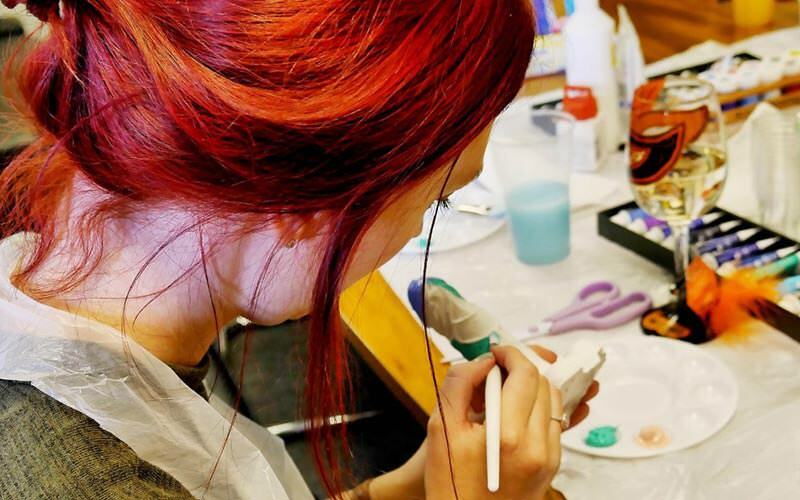 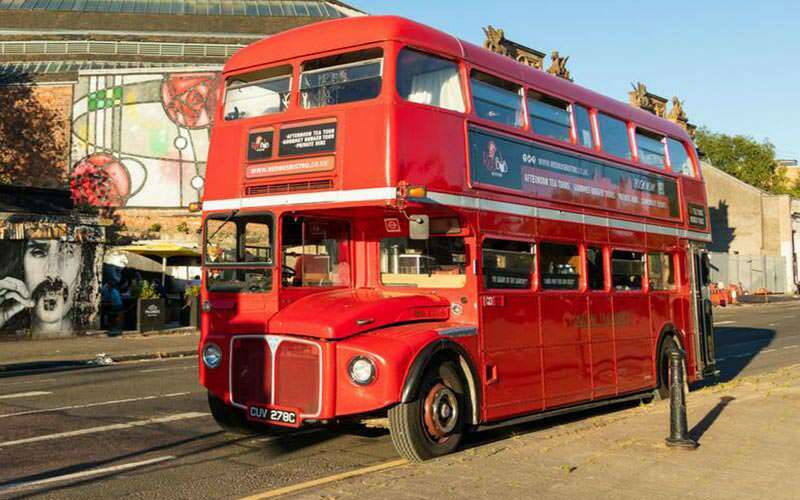 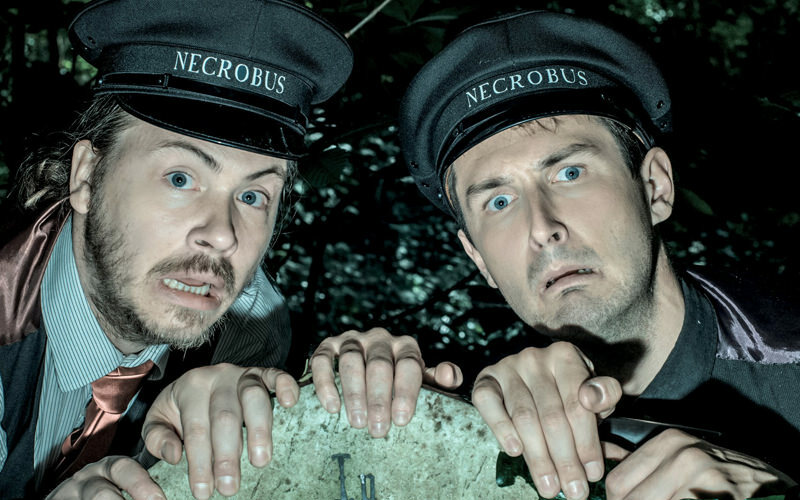 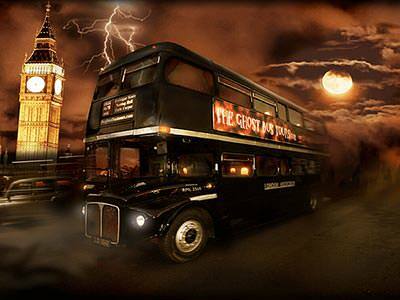 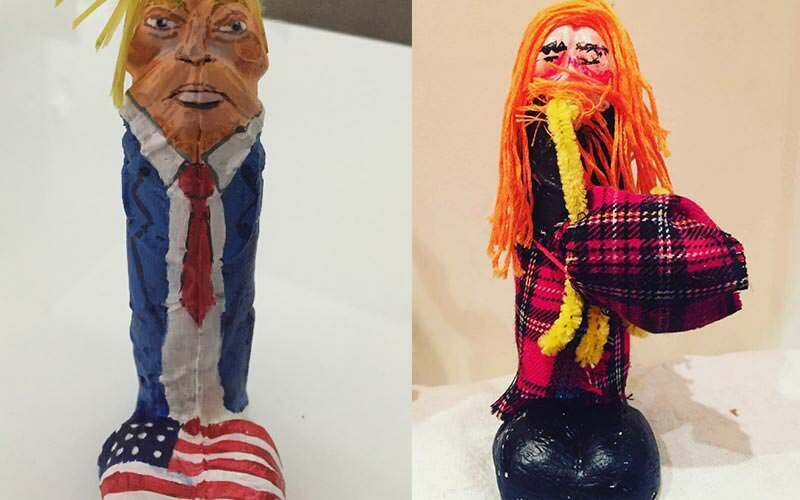 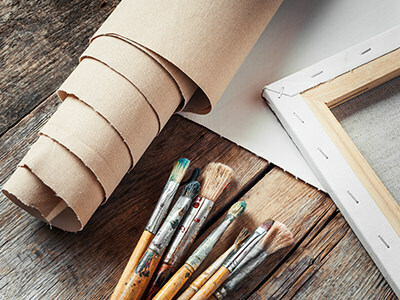 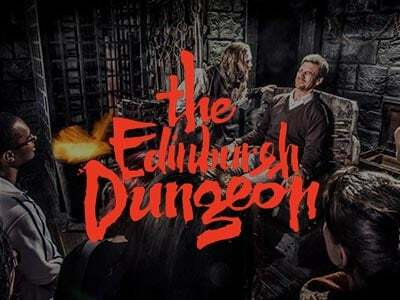 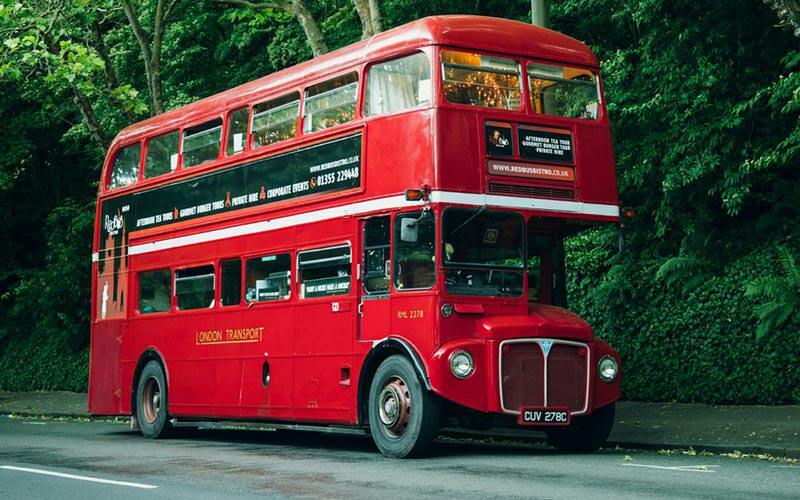 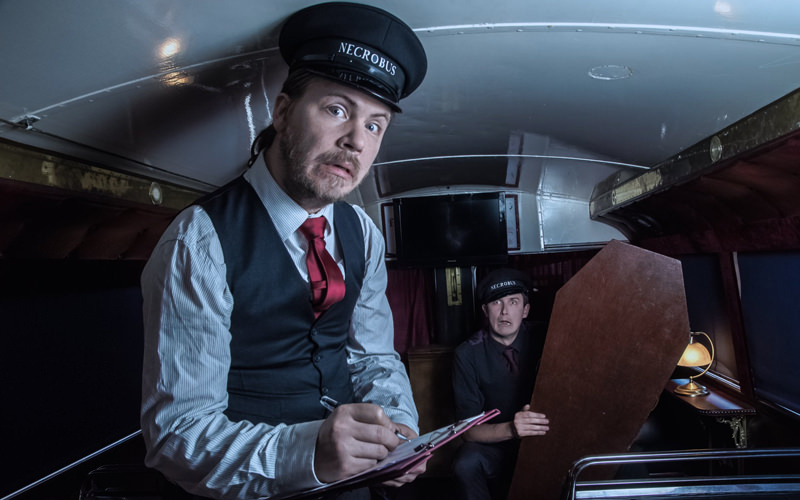 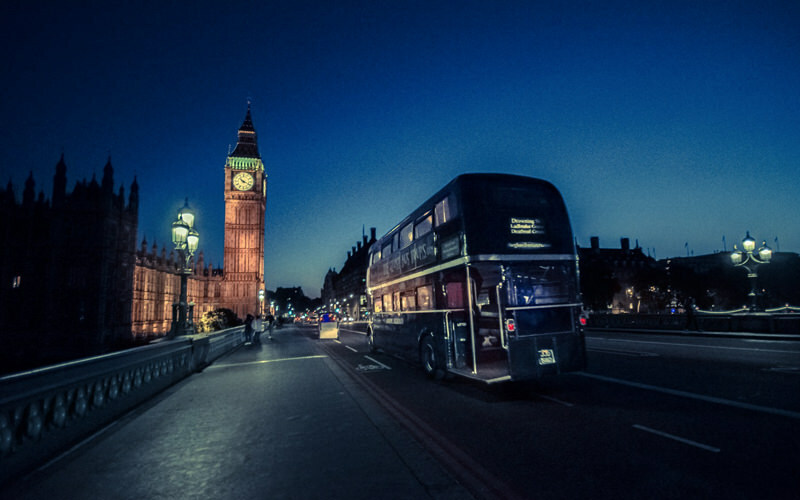 There are also lots of groups who want to do something a little different and out-of-the-box on their hen weekend, whilst taking in a spot of local culture at the same time, which is where the Edinburgh ghost bus tour and the Edinburgh Dungeon tour come in. 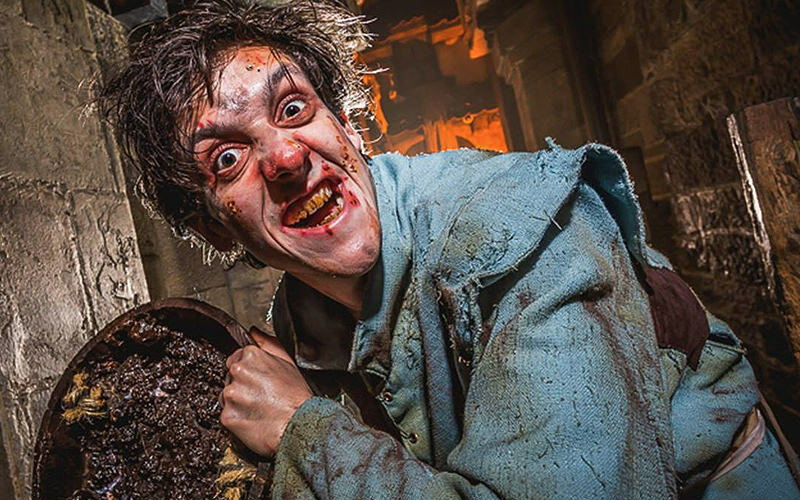 On these tours, our groups learn all about the eerie and gruesome history of the Scottish capital, in 360 degree sets with interactive actors. 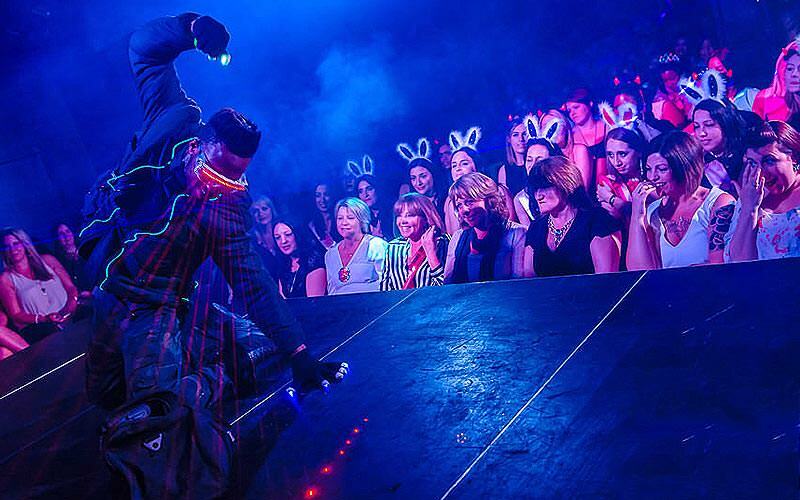 It’s truly an experience you’ll never forgot. 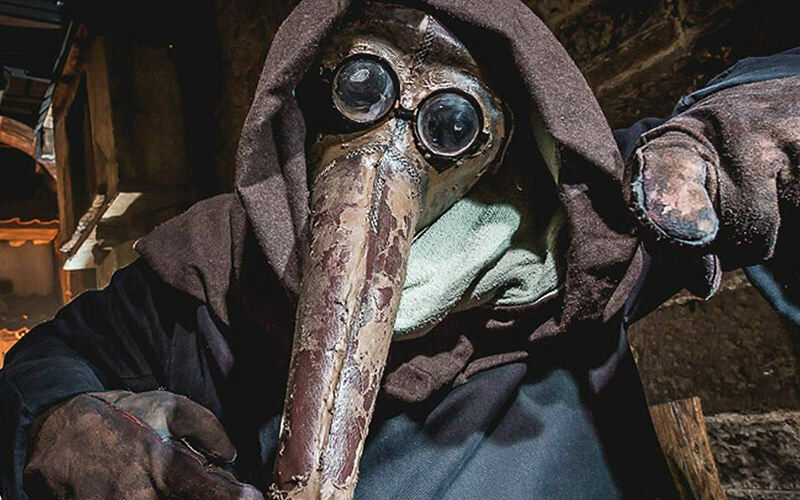 Nothing sets you up for a big night like learning about The Great Plague, right? 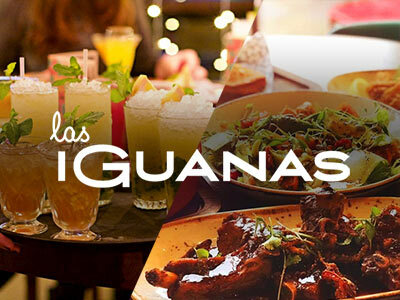 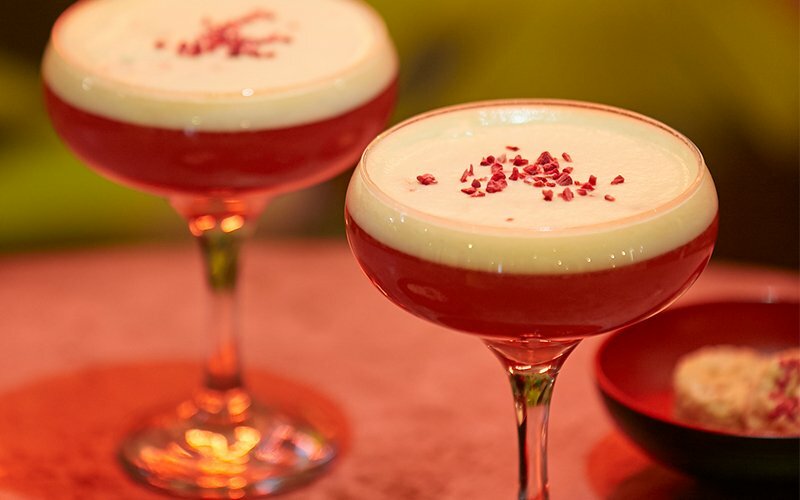 If you can’t get enough of your cocktails (we hear you), then Edinburgh really is the city that delivers. 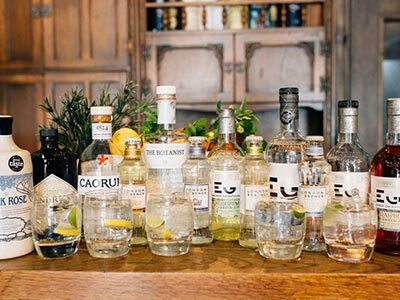 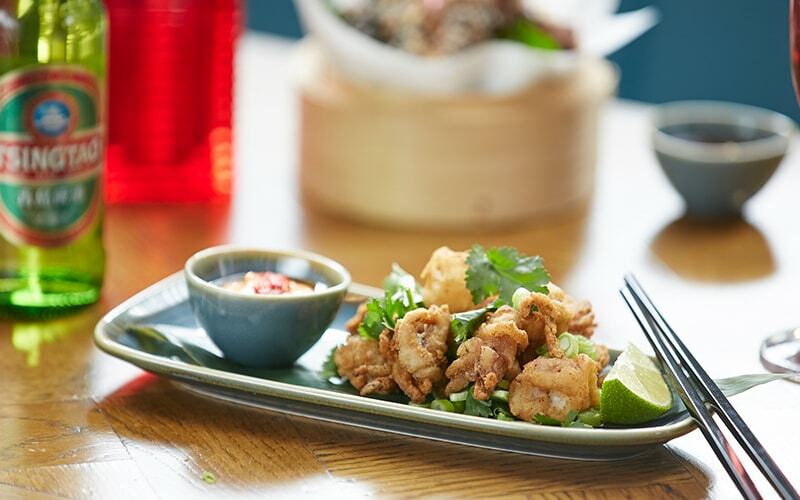 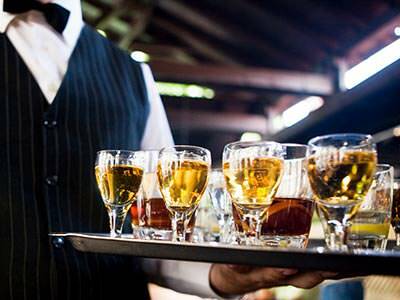 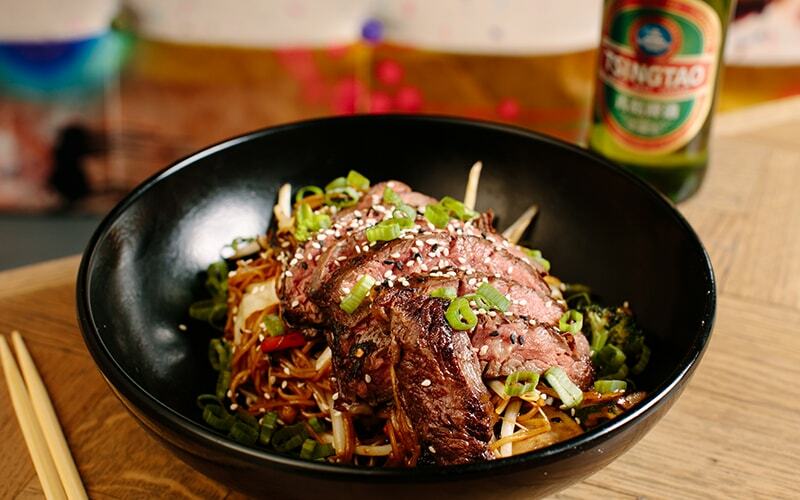 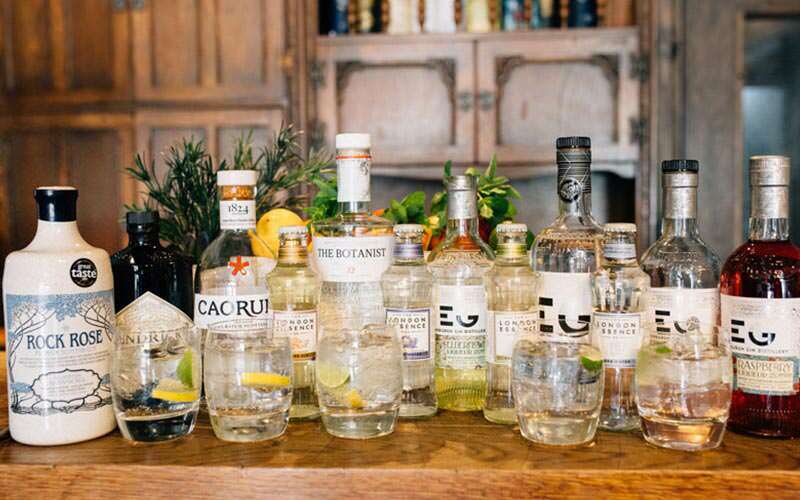 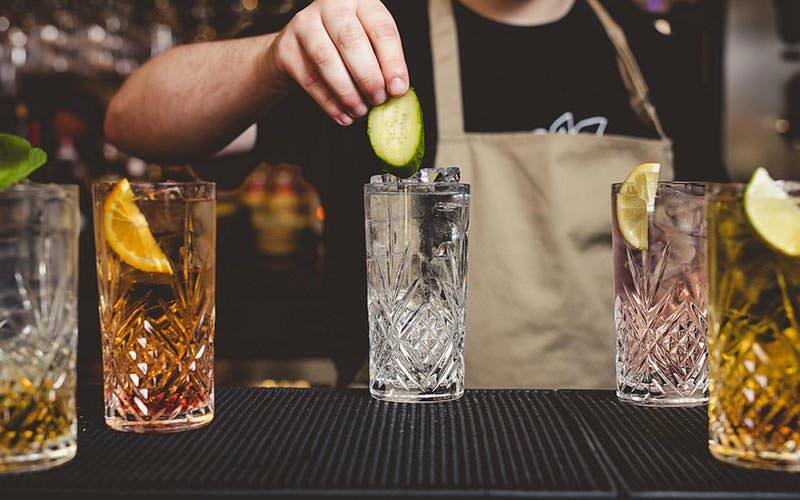 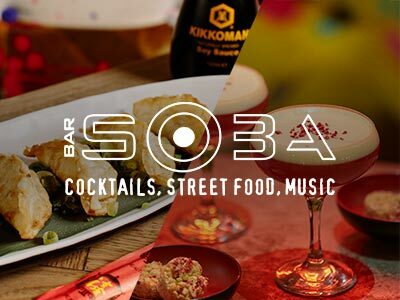 The vast majority of regular activities come with a cocktail or two included, and there’s a massive amount of cocktail classes to choose from – including venues like The Three Sisters and Bar Soba – so if you don’t start your night tipsy, we’ll eat our tam o’ shanters.